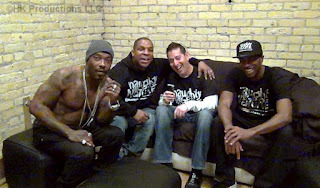 Naughty By Nature, the legendary Platinum selling and Grammy award winning group that crossed over to mainstream audiences with anthems like Hip Hop Hooray and OPP are once again on the road and in the studio! They just dropped a fresh track with Queen Latifah and are getting busy on a new album. 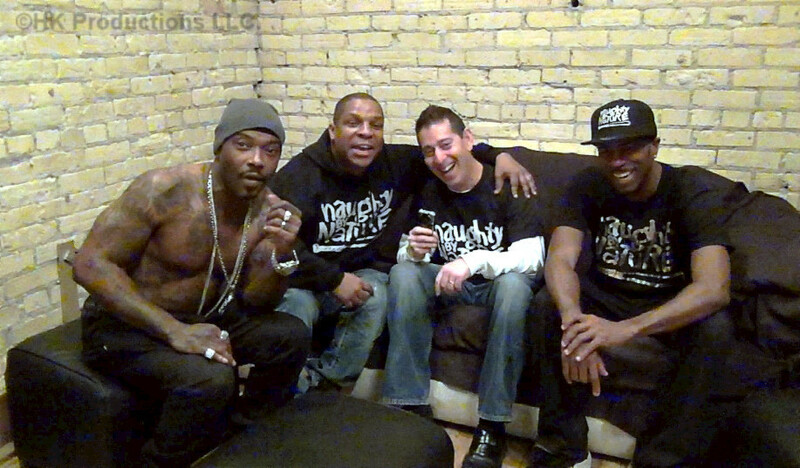 I was lucky enough to work closely with Naughty as A&R Director and Staff Producer at Tommy Boy Records. This week I catch up with them for an exclusive backstage interview in the middle of their 25th Anniversary Tour. Treach, Vin Rock and Kay Gee tell us about the Kickstarter campaign for their new album, the amazing stuff fans can get for participating and what creative direction the new album is taking. All that, plus some crazy stories about working together back in the day! Hear highlights from the PG rated version of the interview on this week’s show and check out the full R rated 19 minute video interview below. My Jersey brothers are hotter than ever and so is this week’s show! The decks will be on fire with exclusive HK remixes on DNCE, Troy Sivan, Tori Kelly and Mike Posner. Plus a wicked mash up with Justin Bieber, Selena Gomez and Adele and new tracks from Taylor Swift, Elle King, Jess Glynne! And that is just getting the party started!